Look out Luigi! This is from Super Mario Brothers 2, aka Super Mario USA, aka Doki Doki Panic with Mario sprites. In the original Doki Doki Panic, Phanto looked much less menacing. This version scared me as a child. 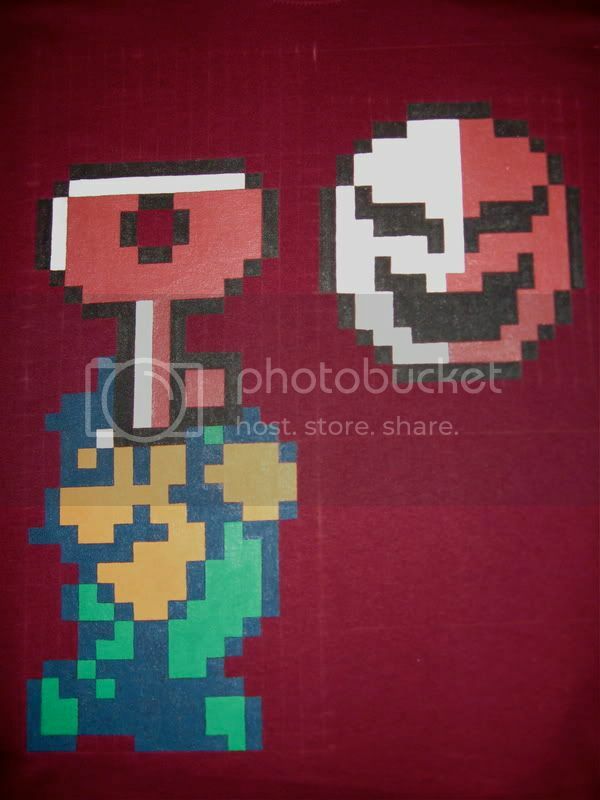 This was the first time I put multiple sprites on one shirt. I made each pattern individually and then placed them on the same grid. The key was difficult as I couldn't find any images online of Luigi holding it. As a result I had to boot the game and see exactly where it was placed when picked up.